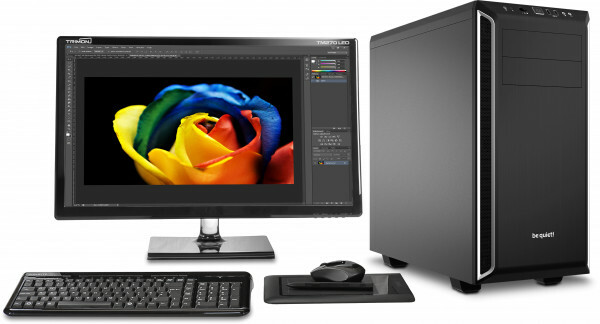 The ideal workstation PC for any creative design or photo editing work, for example Photoshop, Lightroom, Indesign, Illustrator. Aimed at the serious PC professional or home user. The Pixelstation offers a quieter way to edit and process your photographs, graphic designs or artwork using your favourite applications unleashing new levels of creativity and removing bottlenecks typically associated with less well specified computer hardware platforms. With a choice of components as well as the option to go fully fanless if required, the Pixelstation is the ideal system for home enthusiasts or professionals working in the photographic or graphic/art design industries. Home users or enthusiasts can simply build on the base configuration, adding higher capacity SSD drives and a graphics card if required. Not everyone will need a graphics card as the processor's own on-board graphics will be fine for most users and it supports up to three monitors running from the motherboard one of which (via HDMI) will work at a resolution of 4096 x 2160. If more graphics power is required, there are fanless cards on offer which would be perfect for most home users. 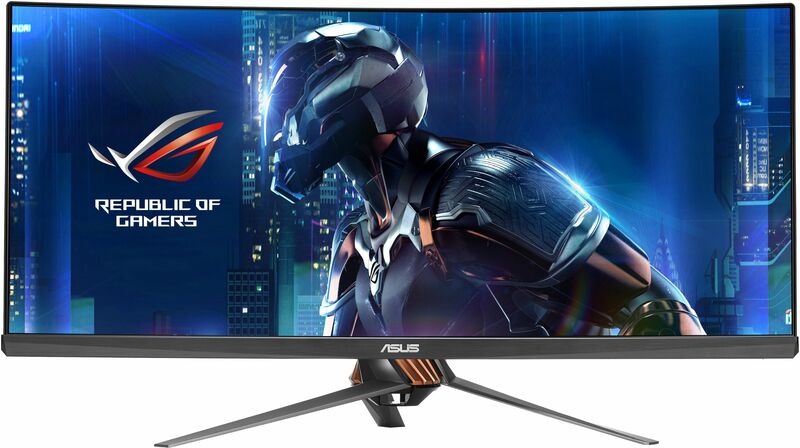 With the addition of a discrete graphics card, the maximum supported number of monitors and/or resolutions will be increased. Photo editing programs usually take up a lot, if not all of the space on your Windows desktop so it is usually a good idea to use a large display like the ASUS 28" ASUS PB287Q 28in 4K LED Monitor or even the ASUS PG348Q 34in 100Hz 3440x1440 Curved IPS Monitor" IPS Monitor to expand your desktop. The more space you have available on your Windows desktop the easier it will be to work with your editing software. Also offered for the serious user is the PNY NVIDIA Quadro P1000 Graphics Card. This is aimed at professionals (where multiple 4K monitor support is required) who create digital content and require or prefer the hardware acceleration that these cards provide in some applications. NVIDIA GPUs take full advantage of the new Mercury Graphics Engine in Photoshop to deliver unprecedented speed and responsiveness for a fluid feel as you work. While they unleash powerful capabilities for editing, compositing, and transforming images and designs, these cards do make a small amount of noise. But for some people, the speed benefits outweigh the noise that they make. This depends on your personal preference as not everyone will need an entirely fanless system but if you prefer absolute silence then this is certainly an option and can easily be achieved with the correct choice of components. A fanless system will work just as well as a fanned system but will usually run a little warmer so we will remove the vent covers on the top of the case to accommodate this. NOTE: Should you decided to go fanless with the Nofan CR-80EH, you need to use a processor that is rated at 65W or lower. The system can accommodate three different storage types. The first and fastest option are the M.2 drives. These drives offer speeds around 3-4 times that of the SSDs we offer. We recommend selecting one of these drives as the boot drive. Other options include SSD drives up to a capacity of 4TB which will be large enough for most users. But if the speed of an SSD is not required please consider a conventional HDD to backup or store your work. Many applications work better if they have a 'scratch disk' which they can use as a temporary workspace, (Photoshop being a good example of this). Of course adding any component with moving parts will make some noise but it is possible to house any of the 3.5" drives on offer in a soundproofing enclosure like the Scythe Himuro Hard Disk Drive Cooler and this will both cool and minimise the noise from the drive, helping to ensure a quieter system. If you are importing video or audio clips from a portable microphone or camera then we would highly recommend using a card reader to make that process as simple as possible.The ICY BOX IB 865 card reader is a compact multi-format card reader which can be installed into a 3.5" drive bay and supports many different types of card including various Compact Flash (CS) and the more common Secure Digital (SD) cards. Users with more advanced storage needs may be interested in having two drives in a RAID array in order to increase data read/write speeds or to provide a higher level of resilience against drive failure. The two types of RAID offered on this system are RAID 0 (Striped) and RAID 1 (Mirrored) and they store information in completely different ways. RAID 0 arrays stripe data and write information across two separate hard drives and are often used to increase the speed at which data is accessed and retrieved. For instance, Photoshop has the ability to batch process images and a RAID 0 configuration would help with faster image retrieval and storage after Photoshop has processed them. The downside is that if either drive fails then you lose everything, so it is important to make regular precautionary backups. RAID 1 arrays mirror data and write identical information across both drives simultaneously without a speed penalty. So if one drive fails, no data is lost and the PC stays running. However, if both drives (or more likely the motherboard) fails then you lose everything, so it is still important to backup regularly. NOTE: The ASUS H370-A is RAID compatible but it only supports RAID for SATA devices, it does not support RAID for two M.2 drives. Nanoxia Deep Silence 1 Anthracite Rev.B Ultimate Low Noise PC ATX Case ? Nanoxia Deep Silence 1 Black Rev.B Ultimate Low Noise PC ATX Case ? Gelid Tranquillo Rev.4 Quiet CPU Cooler with PWM Fan ? Noctua NH-U9S Ultra-Quiet Slim CPU Cooler with NF-A9 fan ? Scythe Kotetsu Mark II TUF Gaming Alliance CPU Cooler ? PNY NVIDIA Quadro P1000 Graphics Card, 4x mDP1.4 plus 4 DVI Adapters ? Nofan P-500A Silent 500W Fanless 80+ GOLD PSU ? Scythe Himuro Aluminium 3.5in Hard Disk Drive Cooler ? Akasa ICY BOX IB-865 Front 3.5 Bay Card Reader and USB 3.0 Port ?